Bacon Egg Muffins are easy to make and the perfect protein-packed healthy breakfast for on the go. Made with egs, spinach, mushrooms and bacon and come together in just 15 minutes. Whole30 compliant, low carb, keto and paleo friendly. Eggs are a breakfast favorite at our house. 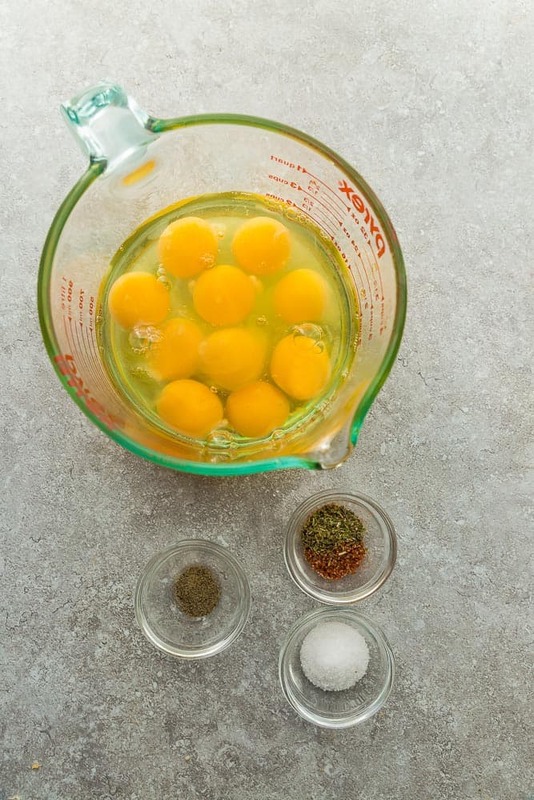 Hard boiled eggs, baked eggs and of course, our infamous Breakfast Egg Muffins that were Pinterest’s 2019 top pinned recipe according to the Today Show and Cooking Light. 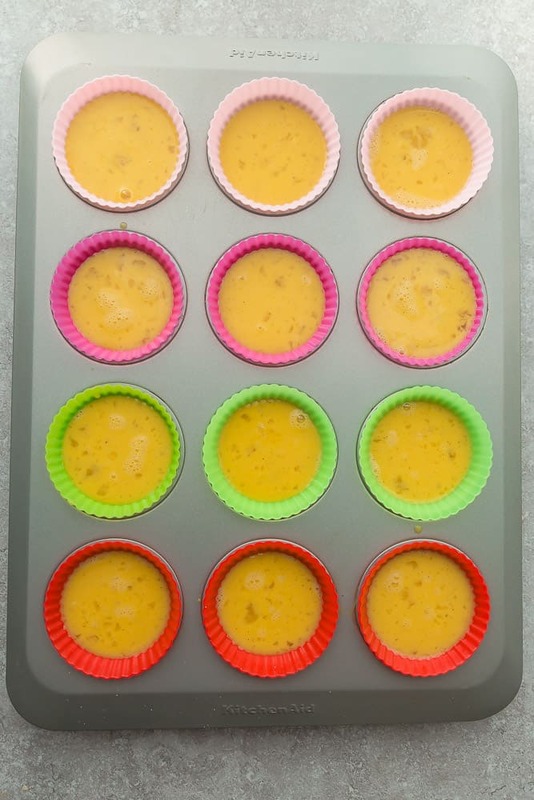 These Bacon Egg Muffins come together quickly and are full of protein and vitamins. Plus, they make a delicious make-ahead breakfast that you can quickly reheat on those busy mornings. 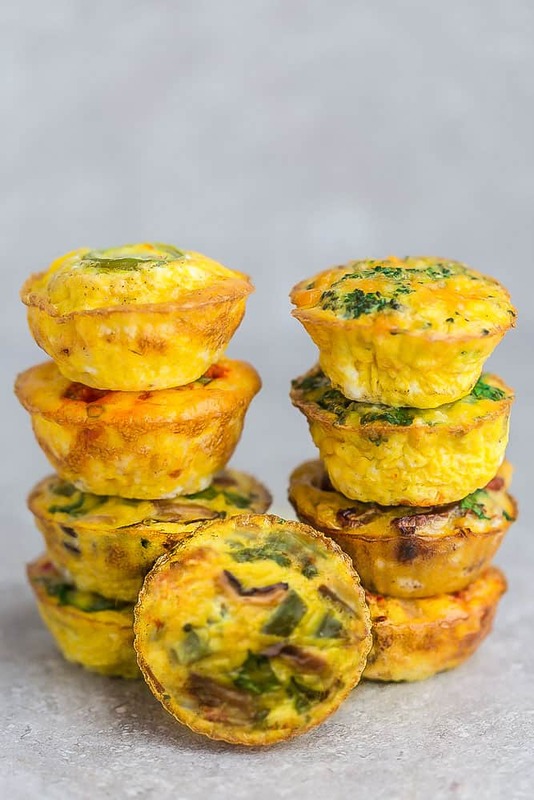 What I love about these Bacon Egg Cups is that they are the perfect bite-sized breakfast that you can grab on the go – sort of like portable mini frittatas. Plus, they are super versatile and perfect to keep on hand in your fridge or freezer throughout the week. Bake a batch on your Sunday or Monday meal prep day, wrap them up and store them in the freezer. When you’re ready to serve, grab one of those single mini muffins (or two) and give it a quick reheat and you’re set to go! And the best part? 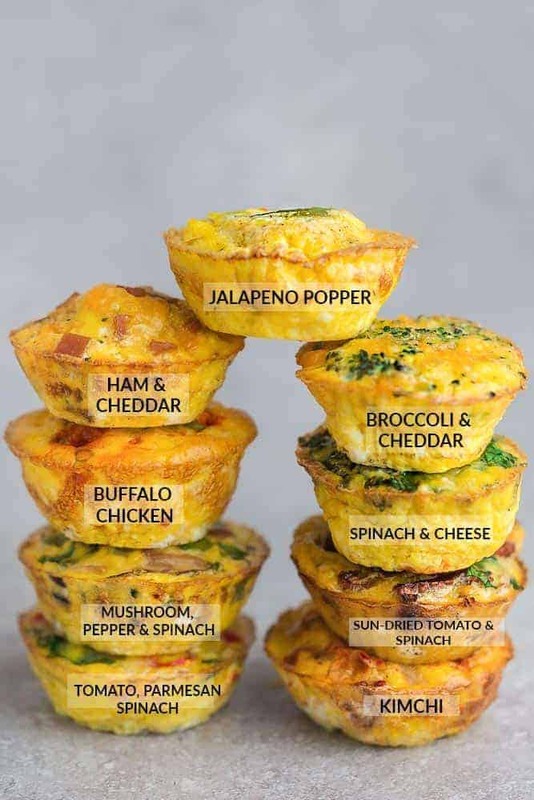 These Keto Bacon Egg Cups are full of protein and super easy to customize. They are naturally gluten free, paleo, low carb and Whole30 compliant. 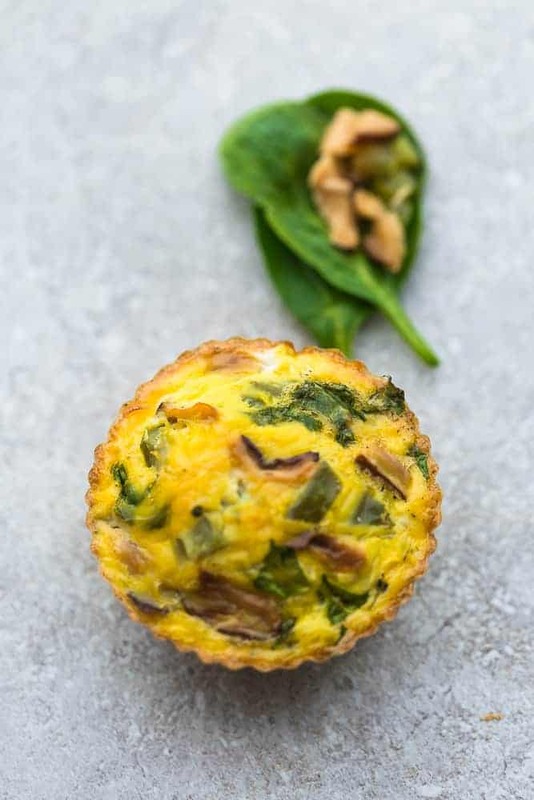 Divide evenly among muffin cups (about 1/2 – 2/3 cups full) and add mushrooms, spinach and bacon. 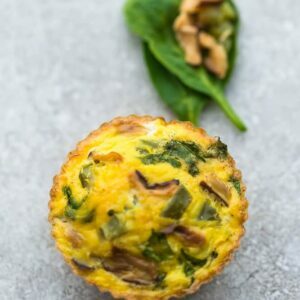 With a batch of these tasty bacon and spinach egg muffins, you’ve got a healthy breakfast when you’re on the run each morning. Bacon Egg Muffins are easy to make and the perfect protein-packed breakfast for on the go. They come together in just 15 minutes and are Whole30 compliant, low carb, keto and paleo friendly. Stir in spinach, mushrooms and bacon. These were delicious! We added green onions and my kids loved these!